What iconic movie image does the above picture conjure? The astronaut movie from the 1980's--The Right Stuff--comes to mind, but a check of the official Web site doesn't reveal the image fluttering at the periphery. First one to name it: a $15.00 iTunes card is yours! (Void where prohibited, of course.) Send emails to yours truly. Anyway. The Summit Station Phase III winter team—one of the most congenial ever to keep the lights on and the data flowing at Summit—welcomed 24 CPS staff to the station last Saturday (24 April), after everyone spent several days waiting out the Eyjafjallajokull ash plume. The group is now engaged at warp speed in turnover and camp opening activities. Phase III winter personnel are scheduled to leave Summit tomorrow, along with several additional personnel who guide and support transition activities. The new crew includes two fresh key members: Katrine Gorham, who assumes the helm for Summit research support from Sandy Starkweather; and Tracy Sheely, who will head the operational efforts—a job long held by Kathy Young. 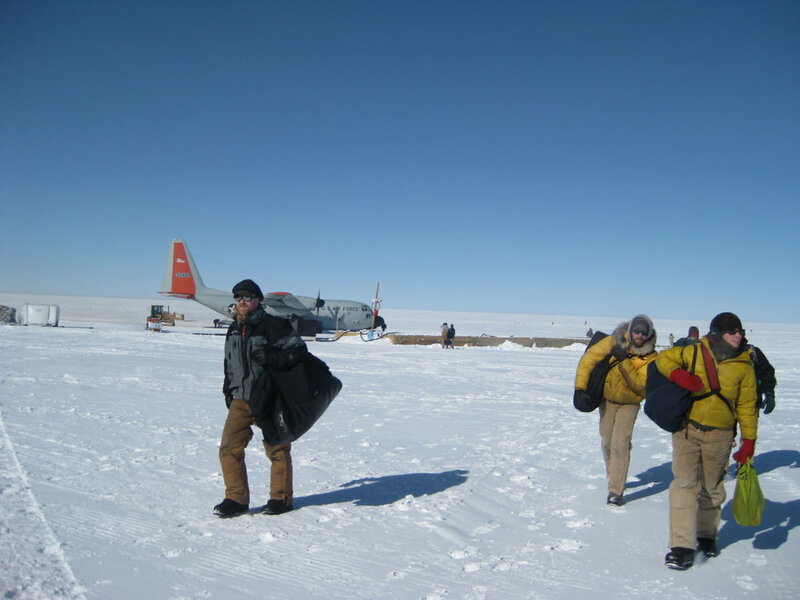 These two will work with the Science Coordination Office and an on-site Chief Scientist to maintain the exquisite choreography needed to conduct atmospheric and snow chemistry experiments and to collect baseline climate data at a remote outpost where water has to be made from snow and power is considered life support. Also on the crew: newlyweds Ben Toth and Shannon Coykendall. 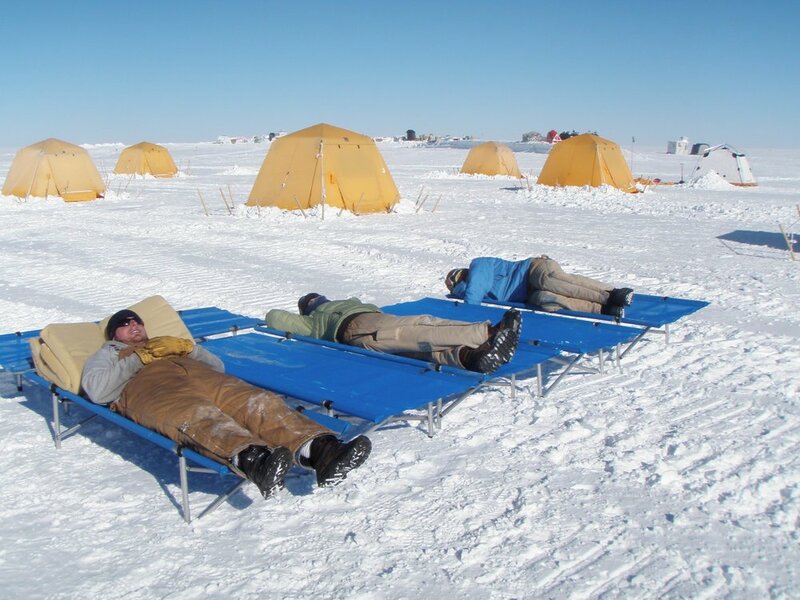 Congratulations to the happy couple, who illustrate that there is no world more filled with connections or funny coincidences than that of polar research support. Per Karla College: “I have a good friend here in Crested Butte named Katie who worked in Denali with Shannon. Shannon married Ben who was my friend Jason’s roommate in McMurdo and I know Ben from Antarctica. So . . . I’ve never met Shannon but I know her husband and a long time friend of hers, who don’t know each other.” Got all that?